NEW YORK, NY - November 2, 2015 - The Digital Advertising Alliance (DAA) today unveiled new guidelines for the implementation of the DAA's AdChoices icon and ad marker in video ads, "DAA Ad Marker Implementation Guidelines for Video Ads." The DAA's initial release provides marketplace guidance for implementation that will help create a more consistent consumer experience across major video ad formats and players. The guidelines were assembled with input from a broad range of companies and guidance from the IAB TechLab's standards development group, and they provide how-to steps for the marketplace to implement the AdChoices icon. The guidelines also create more certainty for brands, agencies, publishers and ad tech companies as they increase their use of video advertising. "As consumers continue to increase their use of digital video content for engaging with brands, the DAA is committed to providing consumers the same level of real-time notice and control in video advertising as they receive in traditional desktop and mobile formats," said DAA Executive Director Lou Mastria. "The DAA's AdChoices icon has become a visual touchstone for millions of consumers, and these guidelines extend the icon's important role, while providing companies with the flexibility needed to meet the DAA Principles in the fast-changing and complex video environment. We'd like to thank the IAB TechLab and participating companies for their work in helping develop these guidelines." The DAA's video guidelines are similar to those previously issued for desktop and mobile formats (DAA Icon Ad Marker Creative Guidelines and the DAA Ad Marker Implementation Guidelines for Mobile). These initial guidelines capture some key marketplace practices, but the DAA expects other innovative implementations to emerge, which will be captured in subsequent versions. The DAA will also incorporate feedback from participating companies and other stakeholders through this process. "Given the incredible range of video technologies in the marketplace, we are very pleased that stakeholders were able to find common ground for these initial implementation guidelines," said DAA General Counsel Stu Ingis. "This is an iterative process, and we continue to work with video ad providers to ensure that consumers receive notice and control across the ecosystem consistent with DAA's mission." 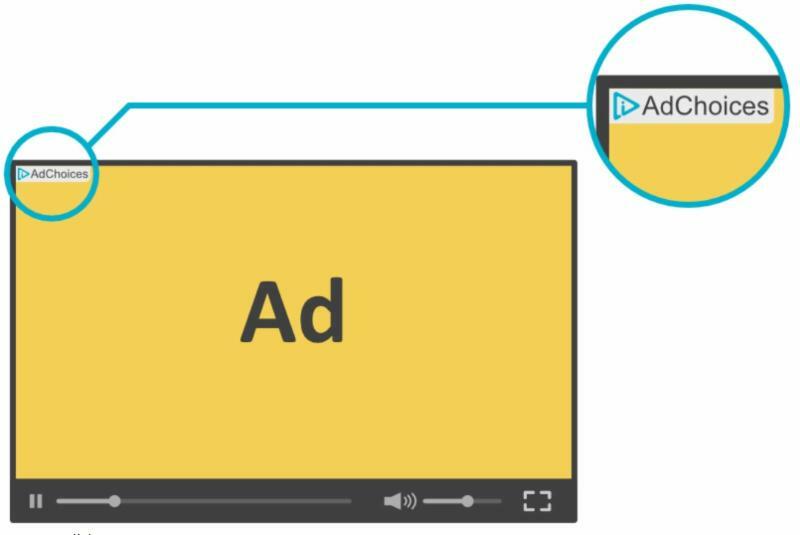 Video ads draw the most consumer engagement of any ad format with an average click-through rate of more than 3X of mobile ads and 7X of display ads, according to BI Intelligence. Video is also the fastest growing format in digital advertising, with total spending projected to rise from $5.8 billion in 2014 to $12.8 billion in 2018 in the United States, according to eMarketer.